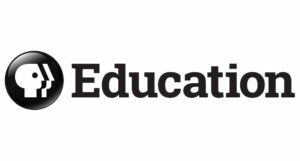 PBS Education has partnered with EXPLO and the Commission on Presidential Debates to create the enclosed debate tool kit for classroom use. This tool kit includes resources to engage students through a process of student led discussions designed to foster meaningful and civil conversations with people who think differently. By listening, sharing, questioning, and reflecting, students develop skills critical to becoming thoughtful, responsible citizens. Feel feel to download the debate guide along with the corresponding Join the Debates poster and Presidents poster for display in your classroom.